Paramount Unified has purchased new Google Chromebook laptops for all third-graders, sophomores and students of Leona Jackson Middle School this fall through funds from the $106 million Measure I. PARAMOUNT – Paramount Unified has launched into its first round of facilities improvements funded by the $106 million Measure I, replacing air conditioning systems and providing students with new technology that has enhanced the District’s learning environment. Since the city came together to pass Measure I, which funds updates, repairs and modernization of all of the District’s schools, Paramount Unified has been able to upgrade the air conditioning at Roosevelt Elementary and demolish the old portable at Captain Raymond Collins Elementary which will be updated with new ones. This fall, the Paramount High School West Campus has begun a modernization project that will improve classrooms and upgrade building structures. Approximately 10 percent of the bond funds are allocated to improving technology, and this fall the District has purchased new Chromebook laptops for all third-graders, sophomores and students of Leona Jackson Middle School. The laptops arrive as part of the District’s new tech implementation plan, which aims to provide a personal technology device to every student in grades 3-12 by 2020. 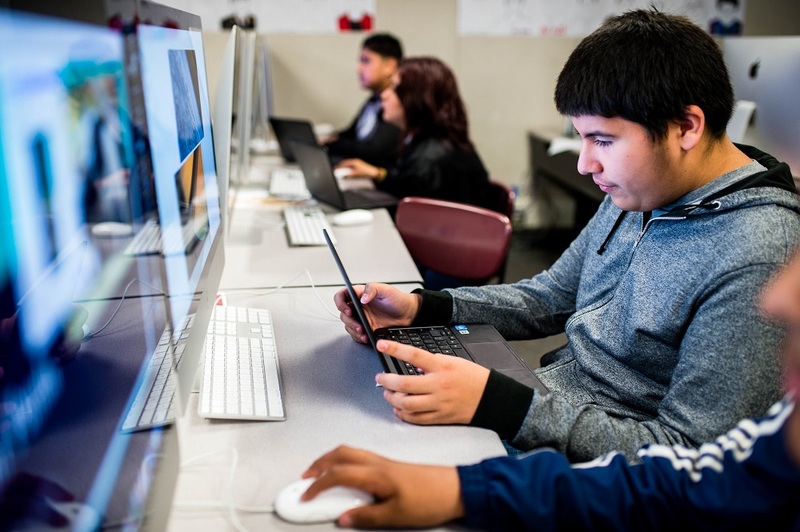 More than 1,200 Paramount High School freshmen received the new Google Chromebooks in April, for a total of more than 4,000 distributed since last year.